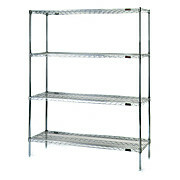 Similar to 8870J70 Series but with casters Post height is 63”; overall height is 69” The four shelves are adjustable on one inch centers. 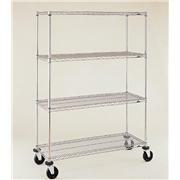 Each shelving cart has four resilient rubber swivel casters; two with brakes. Capacity is 600 lbs. 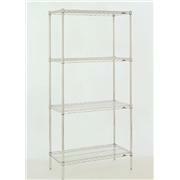 per cart. 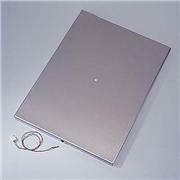 Heated Shelf with Sensor, for use with Bulk Tray Dryer. 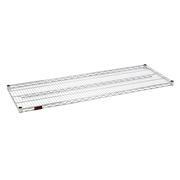 200-watt heater ensures efficient heating from -20ºC to 60ºC. A microprocessor in the Bulk Tray Dryer maintains system temperature within 3ºC of set point. 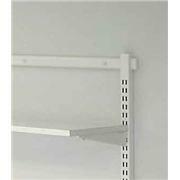 Choose shelf size and appropriate depth of wall bracket; two wall brackets required per shelf; wall bolts not included. Wall bolts must be selected according to wall type.